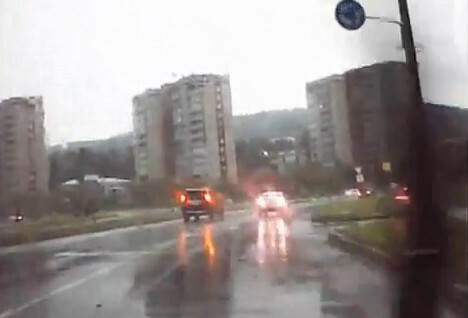 The jeep of Zheleznogorsk’s mayor could seriously suffer from the lightning. However it damaged only the on-board computer of the jeep. The driver and the passenger didn’t suffer. They say that the mayor himself was not in the car at that moment. Citizens of the city thought it to be the sign from above and the warning to the mayor. But it remains unknown what the mayor himself thinks about it. A car is a Faraday’s cage. Nothing to worry about. Unless you are in contact with the metal in the cage when it hits. And if it doesn’t explode the tires so the wheels touch the ground. Then all bets are off.